Welcome to University Care Center. University Care Center is proud to be a five-star, Medicare-certified, short-term rehabilitation and skilled nursing home located in San Diego, California. We are centrally located in San Diego, CA, making us an ideal location for the residents in the community. We are a smaller facility allowing us the ability to provide a more personal experience. 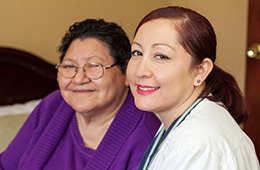 We provide exemplary quality of care and dedication to our residents.